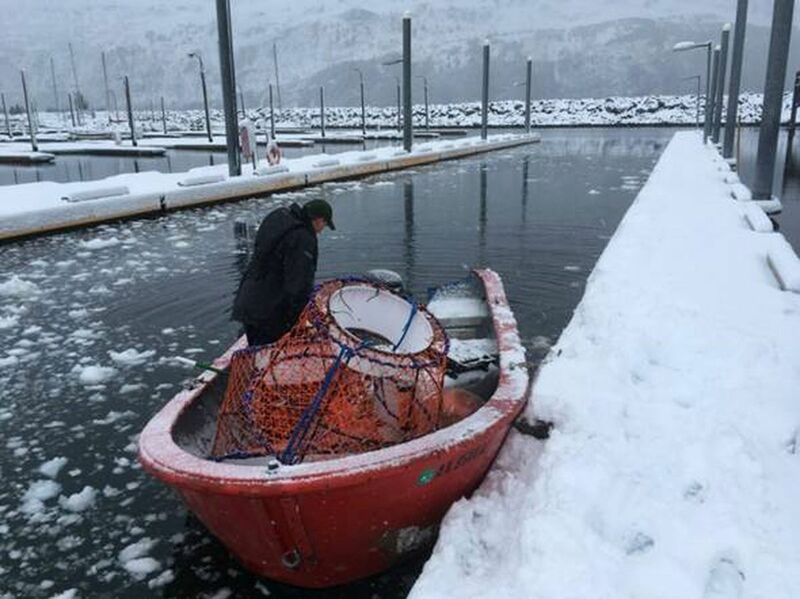 An Anchorage man left Whittier to harvest crab for Easter. He’s still missing. Karl Stoltze used to insist on hauling his shrimp pots up from the ocean floor by hand, rather than with a hydraulic block. He told his brothers the shrimp tasted better when you worked for it. Stoltze, a regular at the Whittier harbor, loved to be on the waters of Prince William Sound, his family said. On Saturday, even as winds gusted to 40 miles an hour, he took his small boat out of the port town, southeast of Anchorage. But Stoltze, who has a wife in Anchorage and an adult daughter, never returned. An intense, two-day search by many locals and the U.S. Coast Guard turned up a cooler but no boat. "The reality is setting in," said a sister-in-law, Gretchen Wehmhoff. "He's not someone who just would have given up," Wehmhoff said. But, she added: "This family is familiar with what the chances are." Family members said Karl Stoltze was planning to pull his pots a few miles from the harbor, with the harvest destined for their Easter plates. Stoltze, 53, grew up on Stoltze Drive in Chugiak as the seventh of 10 kids; one of his brothers, Bill Stoltze, served more than a decade in the state Legislature. Karl Stoltze worked for Alaska Airlines as a ramp agent, his family members said. "He could travel anywhere in the world he wanted to," said Mike Stoltze, one of his brothers. But often, Karl would drive 60 miles down the Seward Highway and through the tunnel to Whittier, where he'd drop pots for shrimp and crab and take naps on the water, Mike Stoltze said. Karl Stoltze typically drove a rigid-hulled, Zodiac-like inflatable raft, Wehmhoff said. But that boat was out of commission last weekend. Instead, Stoltze was driving a red skiff, made from plywood with a fiberglass overlay, that he bought on Craigslist a couple of months ago, Wehmhoff said. Family members weren't fond of the 16-foot skiff, she added. It also made a local charter operator, Mike Bender, uneasy. He saw Stoltze having engine trouble Friday, but missed him when he launched his boat again the next morning. "I think if I would have seen him leave then, I would have either trotted down and said, 'You sure you want to go out?' Or called the harbormaster and said, 'Keep an eye out for the guy in the red skiff,'" Bender said. Missing Stoltze when he left is "one of the things I regret," Bender said. But he did call the harbormaster later in the day, once he realized Stoltze hadn't returned. The harbormaster called the Coast Guard Saturday afternoon, kicking off an intense, two-day search in the waters of Passage Canal near the Whittier harbor. And instead of spending Easter at home, a dozen family members descended on the tiny town of Whittier, where locals, many who were Stoltze's friends, offered help. Businesses with security cameras trained on the water pulled their footage to see if it captured what happened to Stoltze. The owner of a local hotel and restaurant hosted Stoltze's family members for free. "Even the people who waited on us wouldn't let us tip them," said Wehmhoff. "And they wouldn't let us pay for the food. It was pretty amazing what they did for the family." A cooler that belonged to Stoltze was found less than two miles from the harbor. More debris was found soon after, the Coast Guard said. The search continued overnight and into the next day, with the Coast Guard calling in a small boat from Valdez, a 110-foot cutter from Seward and a MH-60 Jayhawk helicopter from Kodiak, said Petty Officer Bill Colclough. But by Sunday evening, with Stoltze and his boat still missing, the search was called off. "Coast Guard crews and good Samaritan crews saturated the waters of Passage Canal and Whittier harbor over two days to locate the missing boater," Michael McNeil, a Coast Guard command duty officer, said in a prepared statement. "We search for every missing person as if we are searching for one of our own. Our thoughts and prayers are with the family and friends of the missing boater during this difficult time." Stoltze is married, with a 27-year-old daughter from a previous marriage, Wehmhoff said. By Monday afternoon, three of his family members had driven from Whittier to Seward. Wehmhoff spoke in a phone interview from there, where she and two of Stoltze's brothers were awaiting the arrival of the Coast Guard cutter. When it got there, they met its captain and another crew member, who handed them the cooler and some other debris found during the search — two oars, a life ring and a bait bucket. 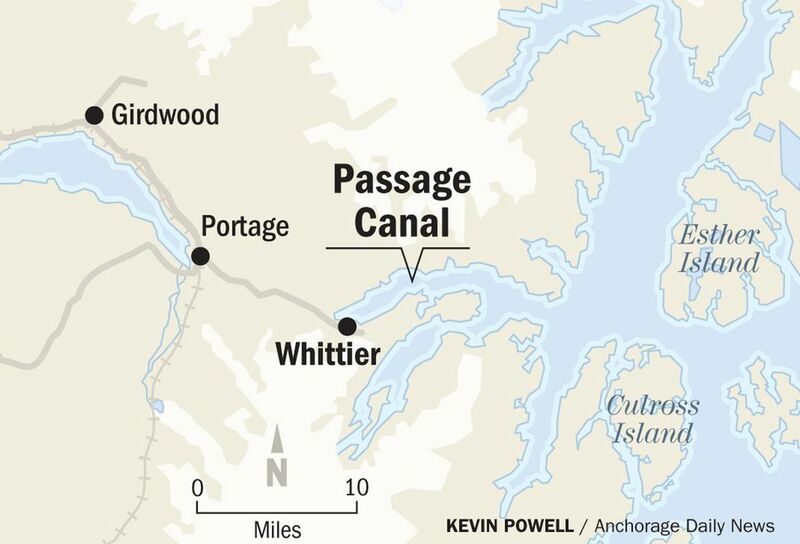 People who see any signs of Stoltze on Prince William Sound over the summer should contact the Whittier harbormaster, Wehmhoff said. Bender, the Whittier charter operator, said the weekend was a reminder of just how unforgiving Alaska's waters can be. He said he just returned from Hawaii, where if you go overboard, "you've got hours and hours and hours and hours and hours." "Here in Alaska," he added, "it's minutes." Analysis: What to do about Sarah Sanders? White House reporters have a few ideas.